Nestled amongst the rolling Warwickshire countryside, Kingstanding Events provides an idyllic location to host your countryside wedding celebrations. Kingstanding Events offers a stunning rural location to celebrate any occasion. With an experienced events team to assist and advise you throughout your experience with Kingstanding Farm, couples can feel rest assured that their wedding day will run smoothly. If you have always dreamt of being immersed in nature on your wedding day and have an entire venue completely built for you, then make sure you consider Kingstanding Events. Located near Warwick and Kenilworth, Kingstanding Events lies atop family-run Kingstanding Farm. This incredible space offers remarkable views of the farmland and surrounding scenery, the perfect backdrop for a rural wedding. The name itself has regal connotations, a fitting location for occasions and weddings that would like to have opulent and grandeur associations. The talented and organised team have had plenty of experience assisting and creating events on their land. Therefore, they are adept at transforming what was once a rural space into a magical, exciting and whimsical wonderland. 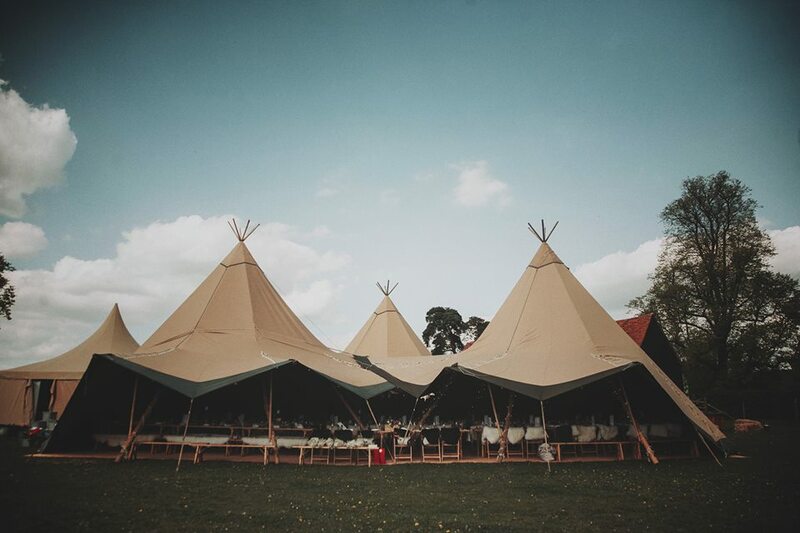 With plenty of choice, Kingstanding events are able to transform the versatile plots of land to fit in with the style of your wedding day, whether you desire a festival themed occasion with an abundance of colourful tipis or a lavish fun fair themed day. The opportunities are endless - the only limit is your creativity! Kingstanding events also offer to create an area for a beautiful blessing for humanist ceremonies. The flexibility of the venue allows you to create your dream bespoke wedding day. Surrounded by endless fields of land - host your idyllic and private wedding at Kingstanding Farm. 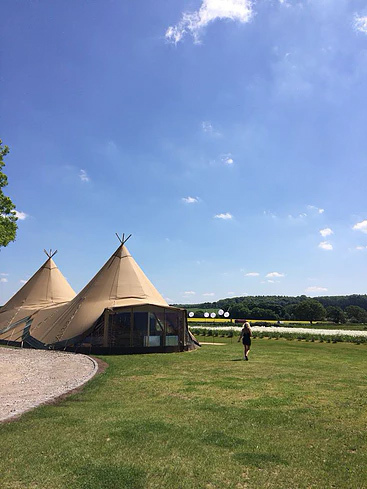 The versatility of the land allows complete flexibility for your special day, offering an excellent natural canvas for an outdoor celebration with the ability to hire a tipi or interconnecting marquees. With designated areas for parking and suggested places for catering and sunset watching, let the team guide and advise you as to how to orchestrate your wedding reception celebrations. 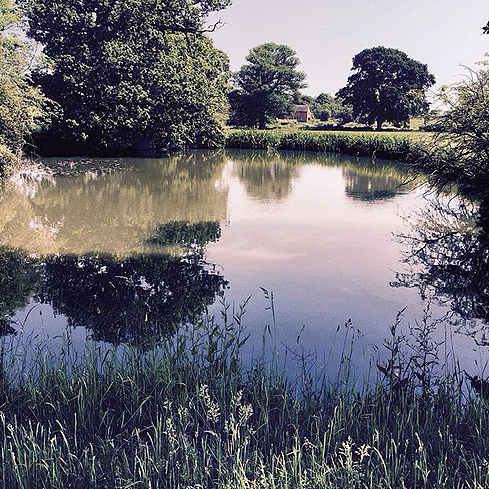 There is also an idyllic pond on site, which allows extra guests of dragonflies and butterflies to appear at your celebrations. The large capacity means that you can have something small and intimate, like a blessing or family orientated affair, or a large grandiose occasion. This really is the perfect spot for festival and music concert themed weddings - especially as there are no noise restrictions. Blessings at Kingstanding Events can also be arranged upon request. 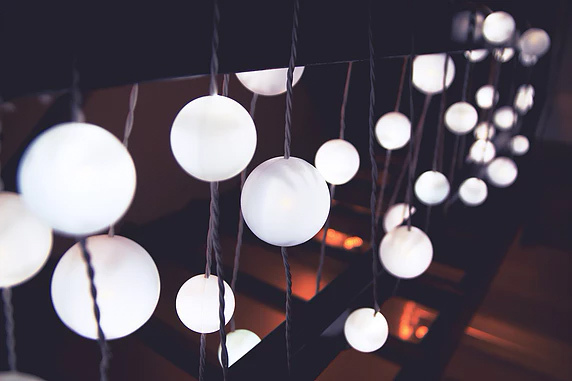 With vast knowledge and experience working with various local suppliers, the team at Kingstanding Events are able to suggest an array of different catering options to fit your requirements. The team can provide water and power to meet the demands of any catering style to ensure your exact specifications are met. 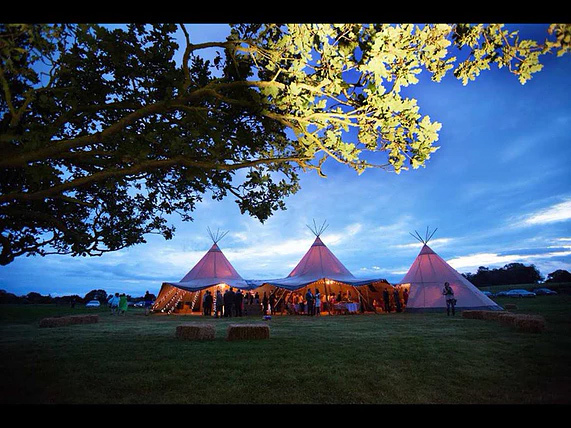 For the ultimate festival wedding experience, Kingstanding Farm provide campsite accommodation for you and your guests. Alternatively, there is easily accessible nearby accommodation available which the team are able to advise you on. If you are interested in hosting your wedding at Kingstanding Farm, please click the buttons below or to the side of this listing to find more information. Let others know what you think of Kingstanding Events by giving a star rating and a small review.